Moreover, globalization also has contributed to countries finding within themselves a renewed sense of identity. This notion is echoed by Ryoo via the statement “globalization ironically encourages local or ‘subaltern’ peoples to rediscover the local that they have neglected or forgotten in their drive towards Western-imposed modernization”. One example of how a country can use hybridization and globalization to transform its media into a global powerhouse is South Korea. Hallyu, also know as the Korean Wave is described by scholar Hyun-key Kim Hogarth as the “term coined by Chinese media towards the end of the last millennium to describe the meteoric rise in the popularity of Korean pop culture in Asian countries”(Hogarth, 2013). 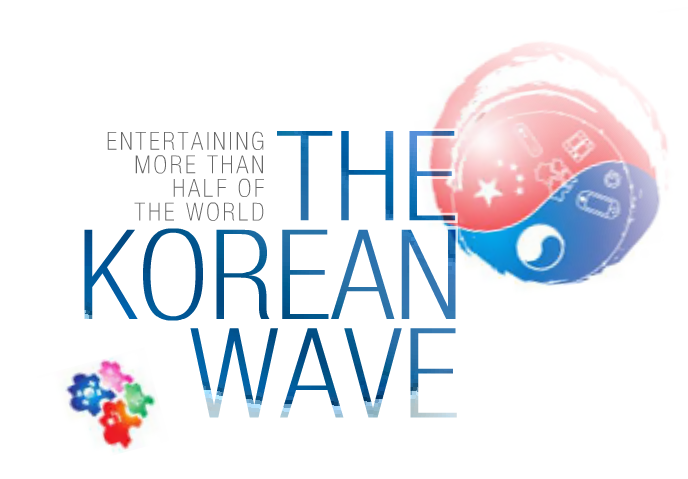 Prior to 2010, the Korean wave was predominately active in Asia in the form of television, film, and music. Norimitsu Onishi stated of Korean pop culture “from well-packaged television dramas to slick movies, from pop music to online games, the South Korean media industry and its stars are increasingly defining what the people of East Asia see, listen to and play”(Onishi, 2005). Further reasoning for the wave throughout Asia lays in the fact South Korean media tackles issues that are central to the eastern culture. Ryoo states of that claim “South Korean dramas typically deal with family issues, love and filial piety in an age of changing technology, and often reinforce traditional values of Confucianism”. On the other hand, Ryoo also states that South Korea can also act as a translator between west and east. Ryoo stated, “South Koreanized version of Western popular culture reinterprets and mediates the imported Western culture in an Asian imaginary”(Ryoo, 2009). The Korean wave has aided the South Korean economy in a big way. Evidently, Korean tourism increased during the airing years of Koreas flagship TV show Winter Sonata. Hogarth presents the figures that, “between 2003 and 2004, the number of tourists to Korea increased from 2.8 million to 3.7 million”. (Hogarth, 2013). This increase of revenue was timely as 6 years previously South Korea suffered a financial crisis. The Korean wave has been met with some backlash. Nations such China and Vietnam have taken issues with the wave, as it may be a precursor to Hollywood like consumerism. Ryoo states of the backlash “some people see the South Korean cultural commodity as a simple relay or partial remake of the American Hollywood original”(Ryoo, 2009). I do not agree with the aforementioned statement, as stated early the Korean wave is simply not a watered down Hollywood. It hybrid media with incorporates eastern core values with a western orientated filming style.